In the modern, technology-driven business landscape, automation is one of the words that seem to pop up every now and then. It’s become a thing that almost every company simply can’t do without. While large companies are already fully automated, using all the benefits of artificial intelligence, natural language processing, and machine learning to their advantage, small businesses are also getting the hang of it. The truth is, more and more small businesses are becoming aware that machine learning, artificial intelligence, chatbots, and automation could be their means to get ahead of the competition and stand out from the crowd. Judging by this, it’s no wonder that automation is taking the wider business and marketing world by storm. With all this in mind, small businesses learned that putting routine processes and tasks on auto-pilot allows them to shift their focus where it’s needed the most, thus ensuring better productivity. 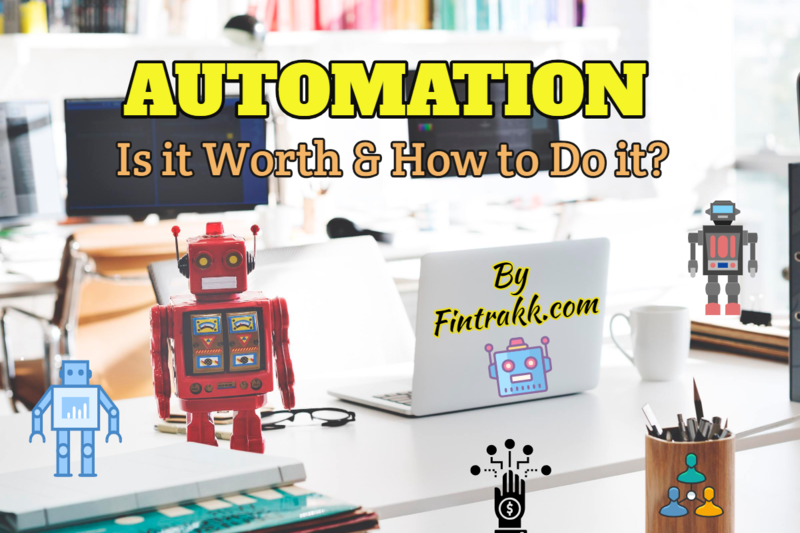 Upon realizing that automation is truly worth the money and effort, small business also managed to identify the thing that troubles them the most: what should be automated and how to do it. The trick is to automate only those tasks that require the most time and involve repetition, so that the employees can do more important work instead. Resource optimization: Every small business has more or less limited resources in the beginning. So, naturally, they need to focus on productive tasks rather than losing time on manual processes. Customer satisfaction: Nowadays, customers expect the service to be top-notch, so giving them what they want, when they want it is a certain way towards success. Automating customer support will ensure customer satisfaction as automation provides support 24/7. Better productivity: Since automation allows each small business to organize their data system, this can greatly help every SMB to significantly increase their productivity, accuracy, and efficiency. Additionally, it’s important to mention that small business automation isn’t too expensive. In fact, the cost of automating workflows is fully customizable, which means that each organization tailors its own automation the way it suits their goals the most. Therefore, it’s no wonder that more and more small companies are using smart tools to improve efficiency when managing their customer relations and experience, but also to reduce labour costs. Here’s what every SMB should take into consideration. Most small businesses hit a wall when they first experience sudden success. That change in demand can be a tricky thing if an organization isn’t well-prepared for such an expansion. The worst thing that can happen to any SMB is poor customer service. This is where automation kicks in. Instead of increasing operations and hiring more employees, automation and artificial intelligence powered virtual assistants can help every organization scale up with their business. Automation tools like the best AI chatbot can be at service to customers 24/7, processing their requests and demands. They can be programmed any way that will suit the organization the most. As a business grows, so does their customer base, which means that demand is also on the rise. The best AI chatbot is the best way to keep track of and even increase customer satisfaction without having to hire more employees and spend additional resources on their training. So, by using chatbots supported by artificial intelligence, small businesses can automate their customer relationships, keep them informed about services and products and so on. The most important thing is to be able to respond to customer complaints, requests and questions in a timely and orderly manner. The best thing about chatbots is that there are platforms that allow their users to customize the chatbots the way they see fit. They can respond to customers’ demands but they can do so much more as well. Running a small business means doing everything yourself most of the time. This is where automation can be extremely useful. Automation means putting certain tasks on auto-pilot. It means letting technology take care of it while small business owners can make much better use of their time. Instead of dealing with repetitive manual processes, entrepreneurs can spend their time finding opportunities, more customers, new partners, and so on. Why do everything yourself when you can have the best AI chatbot do it for you? People who work make mistakes. It’s simply like that. Employees are only humans and humans make mistakes. This is especially present in SMB, since workers do more work than they should. So, people make mistakes that can cost a small business its success. To make sure this isn’t the case, smart automation tools such as chatbots can share some of that load that employees experience on a daily basis. When a certain organization is always accurate in their delivery, it helps improve customer relations. Most importantly, it helps build a good reputation. A company with a healthy reputation can easily grow a loyal customer base. Hence, if a certain organization manages employees, they can use smart tools like scheduling software to avoid any errors. ALSO READ MoneyTap App: Gain Financial Freedom on Your Own Terms! Every small business should aspire toward success. That means that each organization should be entirely dedicated to recognizing new automation technologies that can help them excel in their line of work. So, if any company plans on staying competitive, they can’t do it today without using automation. Automation can help increase productivity and the size of the labour force, as well as causing higher rates of customer retention and improved customer service. To conclude, it’s safe to say that automation offers numerous benefits to every small business. Automation tools such as the best AI chatbot can expand the data processing, replace manual tests, improve customer service and increase the number of prospects. Not only this, it can generate more leads, boost e-commerce, improve reputation and so much more. On top of all that, it’s completely possible to design automation, as well as chatbots, based on your business needs. With the proper use of all these tools, the potential is literally unlimited. Investing in automation as a small business is simply a must if a company plans on staying ahead of their competition. What do you think about Small business automation and the bulk of benefits associated with it? Feel free to share your valuable feedback.